Unfortunately, she looked like she had chicken pox or something. I was bummed. 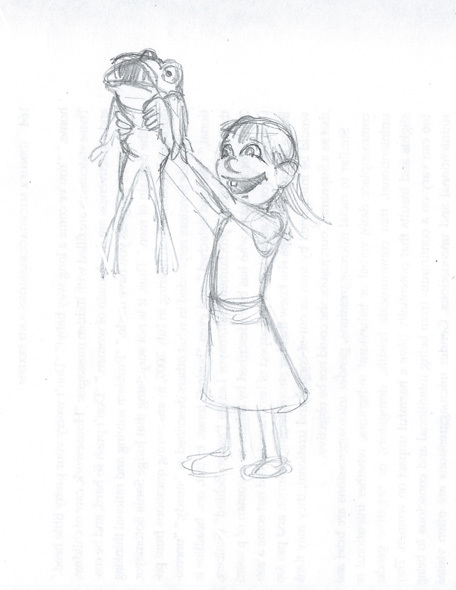 It was also clear that I had over-inked her hair, so the red wasn’t really showing through. 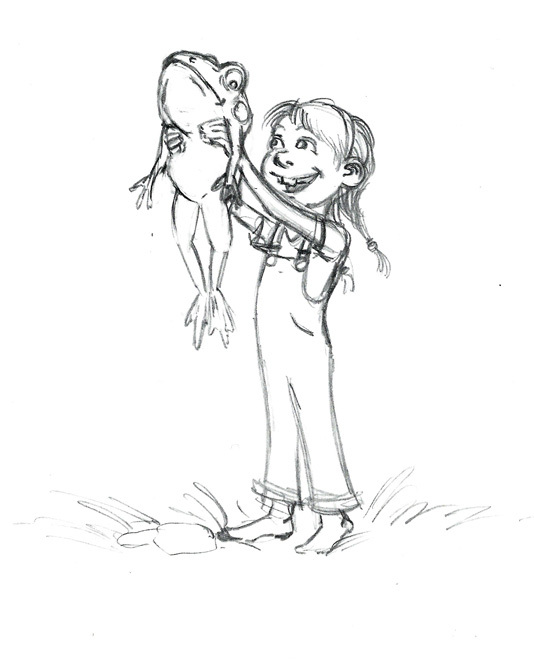 I decided to re-ink the image and start over, ending up with the image at the top of the post. 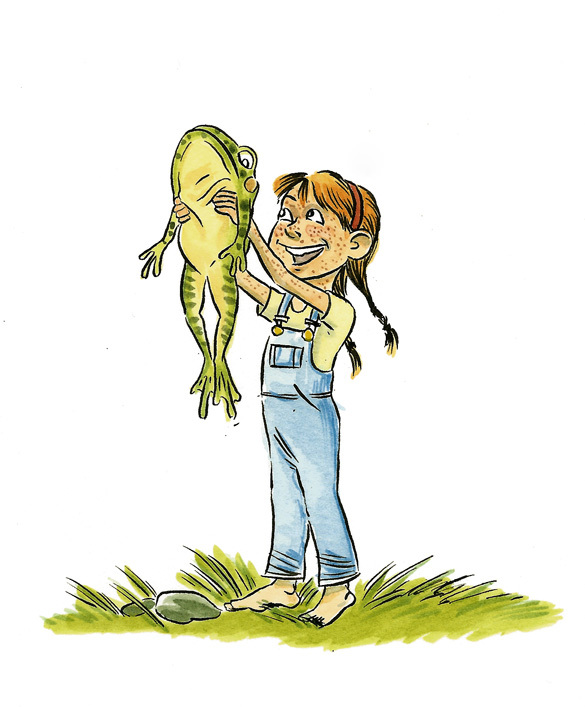 I made sure not to ink her hair so much, and to not make the line for the frog’s mouth so thick, and then gave her fewer freckles and made her hair a brighter shade or orange. Over all, I think the image is better for it. 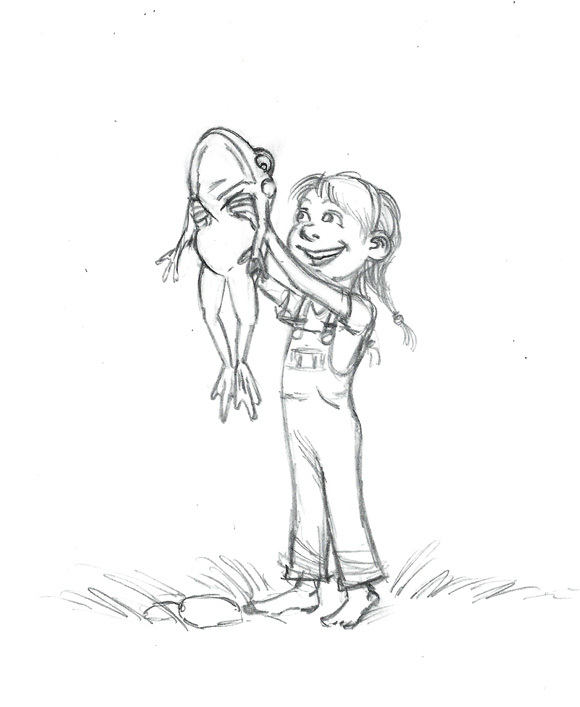 Well, that’s the story of this image…thanks for stopping by! 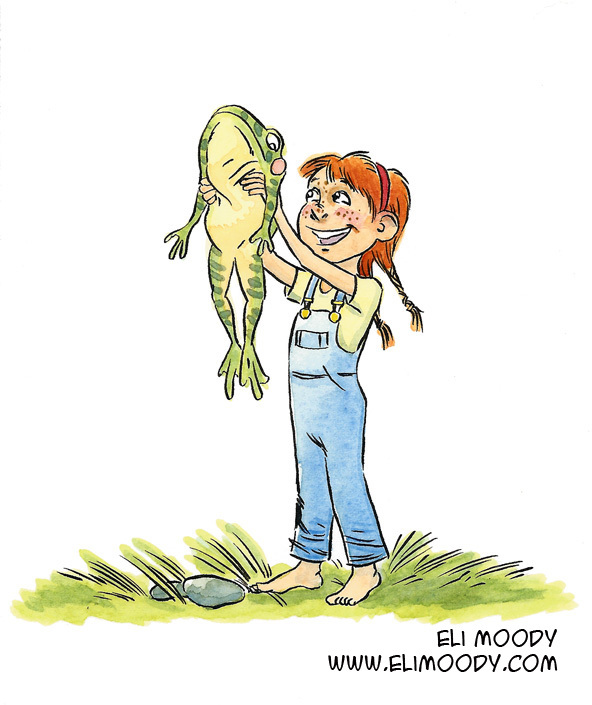 This entry was posted in illustration and tagged animals, eli moody, frog, girl, humans, illustration, overalls, pen and ink, pencils, watercolor. Bookmark the permalink.